It’s difficult to say what successful businessman James F. Ballard loved more during his lifetime. While he was certainly interested in building his personal wealth and joining the elite stratum of society, he also had a profound interest in assembling one of the more extensive, and stunning, collections of antique carpets in the United States. Born in 1851 to parents James and Eliza Ballard, who were themselves the wealthy owners of a significant piece of timber land near Lapere, Michigan, James graduated from public high school and soon after decided to skip out on college to pursue joining the circus. Though it may have been a strange departure from the lifestyle he had been used to, James’ spirit and willingness to forge his own path in life had become evident. Ultimately, it was this defining characteristic that led him on a remarkable entrepreneurial journey as a business man, but it would also allow him to follow a passion that would find him traveling all over the world in the pursuit of Oriental, Persian and Turkish rugs. Coming on the heels of his experiences in the circus, Ballard began exploring entrepreneurship by opening several drug stores across the United States before settling down in Saint Louis, Missouri. It was there that he became part of a wholesale drug store chain known as Richardson & Company, but by 1882 he left the organization to continue building his fortune both financially and as a budding appreciator of handmade arts. By opening the Ballard Snow Liniment Company soon thereafter, James was presented with a great degree of influence and dominance in the drug store industry. Not only did the company manufacture one of the most popular proprietary tonics of the day, which fully established the young mogul’s lifelong prosperity, but the business also sold a number of other remedies that flew off the shelves quickly – including Campho-Phenique, which is still in production today. Some of these tinctures were of questionable quality, and brought with them many queries about the character of James F. Ballard. 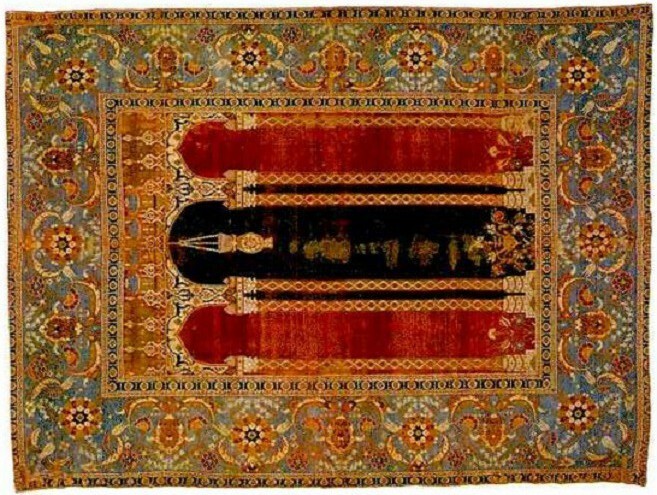 Nevertheless, one subject without question was his love for antique rugs, which was built on James’ ability to spot the kind of quality other collectors would sometimes overlook. James Ballard’s love for handmade carpets began with the purchase of his first Oriental rug in 1905. 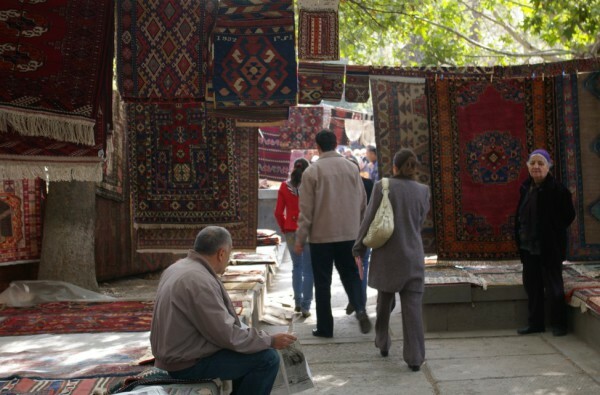 From there, the business owner would start to refine his eye for excellence among the many rugs being sold on the market during his day. It was an expertise Ballard sought out in order to bolster his standing among, or thumb his nose at, other affluent members of society, who hadn’t always been accepting of his requests for membership into various socialite groups of the time that included the Rockefellers. Yet, deeper than that was his actual admiration for the art and practice of Oriental rug weaving, as it took him over 470,000 miles across the Asian, European and African continents in the search for more exquisite rugs to add to his collection. 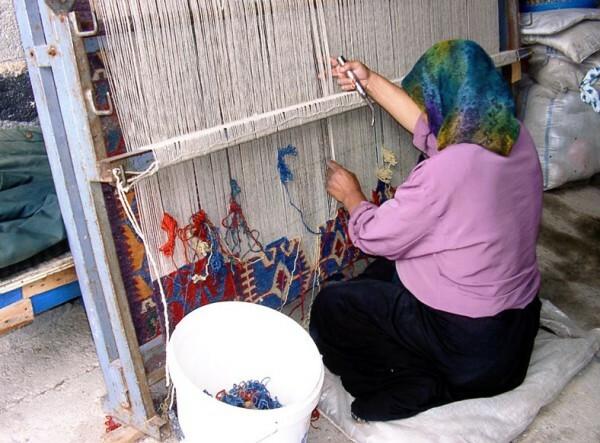 It should also be noted that the businessman became celebrated for much more than his collection, as he also focused his energies on renewing, and some could say establishing, a deeper knowledge and affection for the Turkish rug, particularly at a time when most collectors had a fondness for Oriental or Indian carpets. By the time he turned over his collection of handmade rugs to the Metropolitan Museum of Art in New York in 1922, he had amassed an assortment of 126 rugs whose age reached as far back as the 10th century. Later, a considerable quantity of rugs was then submitted to the Saint Louis Art Museum, his chosen hometown, for an exhibit dedicated in his honor. Today you can see the best of this compelling collection in all of its glory by visiting a special exhibition recently unveiled under the title The Carpet and the Connoisseur at the Saint Louis Art Museum.